Close on the heels of Samsung introducing its mobile payments service, caller-identification app Truecaller has followed suit with the launch of Truecaller Pay as it looks to leverage its enormous user base to cash in on the government’s digitisation push. The new feature, launched as a tie-up with ICICI Bank, will allow users of the app to create a UPI ID, and send money to other UPI IDs or mobile numbers registered with the BHIM app. It will also enable users to recharge their mobile phones using the Truecaller app itself. Non-ICICI Bank customers can link their bank account to create a UPI ID, and make payments. However, Truecaller is foraying into a space that already has well-entrenched players with similar (and somewhat different) offerings, large user bases and wider coverage. On one end of the spectrum, there are players like Paytm, Mobikwik and FreeCharge, digital wallets that have been around for a while. On the other, there is the government’s Unified Payment Interface (UPI) and the BHIM app, which has pitched interoperability as the clincher. “Eventually, it will all boil down to the commerce structure behind it, and factors such as seamless consumer experience, number of successful transactions, and variety of transactions and services on a single platform. A consumer cannot afford to have 10 applications for payment,” says Vinod Murali, managing director at VC firm InnoVen Capital. Industry experts, however, feel the partnership is a strategic and good fit, considering the large captive user base of both Truecaller and ICICI Bank. Swetabh Pareek, head - transaction advisory services at research firm Aranca, says the service stands at a very early stage of development compared to its existing competitors and, hence, it might be too early to comment. Its success entirely depends on how Truecaller capitalises on its strength to ensure it doesn’t become just another me-too player, he says. “If complemented with promotional and loyalty offers, the service may gain some traction initially. However, being a number-identification service that runs in the background, it possess limited utility and stickiness compared to other wallets. 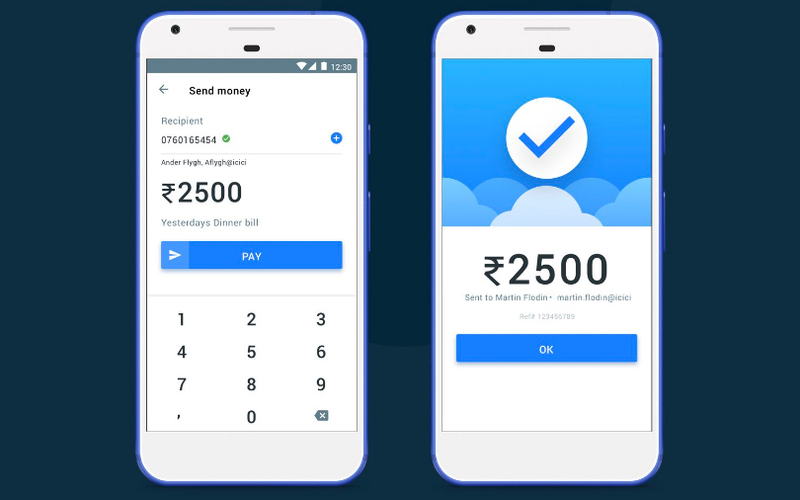 Truecaller Pay would not have any material impact on the market unless it differentiates in terms of offerings, coverage, customer experience and loyalty offers to build sustainable user engagement,” said Pareek. Ever since the government announced its intent to transform India into a digital economy, a host of players have jumped onto the payments bandwagon. In the aftermath of the demonetisation move, wallet players like Paytm, Mobikwik and FreeCharge, prepaid cards, UPI apps and BHIM have been seeing widespread adoption. Companies are on a marketing blitzkrieg and launching several initiatives to acquire customers. In an effort to expand adoption, every major player is trying to on-board as many offline merchants as possible, apart from striking exclusive partnerships with them. Besides, the market is also seeing a barrage of products in the same space, including the likes of JioMoney. The sector is definitely hot and everyone wants in. Is the market big enough to accommodate multiple players? “Companies spending big on customer and merchant acquisition should understand the commerce structure behind the move. They need to see the value proposition, and how it will emerge with scale. This is still evolving,” said Murali. Experts feel that as the fight to dominate the payments industry intensifies, personalisation and customer experience will take centre stage. Consequently, the also-rans will find it difficult to survive. Over the mid-to-long term, consolidation will play out as large players join hands with number of smaller ones providing differentiated and niche offerings. “We don’t see this market having a large number of players over the long term. In times to come, we can expect to witness players expanding focus in terms of value proposition, differentiated offerings, wider reach and building alternate revenue channels by leveraging big data and artificial intelligence to stay afloat,” Pareek added.